When researching a potential wedding car supplier, ask them the 9 Key Questions that will help you to decide which one will deliver the best service on your special day. To make this process easier, we’ve created an easy-to-use table to compare your chosen companies. Can I view your cars before booking? 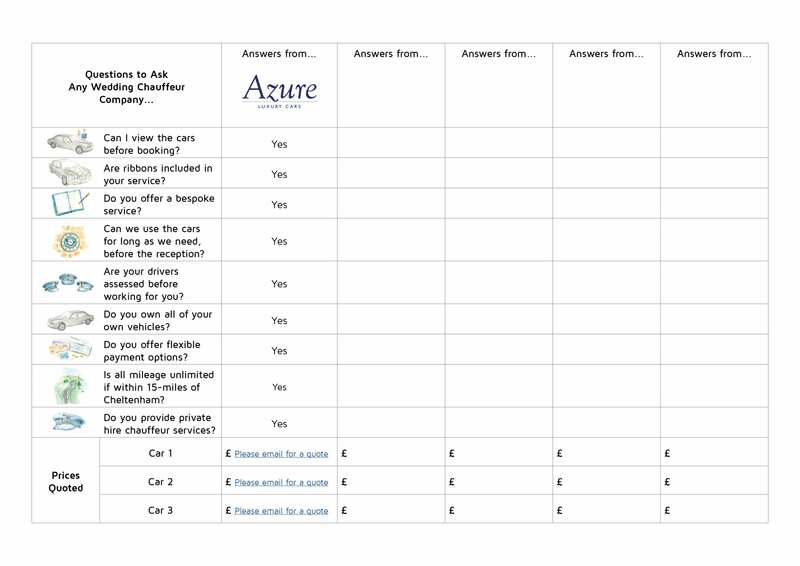 Ask if you can make a visit to view the condition of your cars for yourself, and whether you can have the opportunity of experiencing them by requesting to be taken for a test drive. Also see if there is more than one car to view, so that you can choose the best car for yourself and even cater for other members of the wedding party. Whilst photographs shown online provide a good indication of the car you are considering, it should be remembered that they could also be misleading. The angle may be tactfully positioned to avoid showing wear and tear, or the images themselves could be old and no longer an accurate representation. Viewing the cars will eliminate any doubts or concerns you may have. Are ribbons included in your service? Ask whether the wedding vehicles come with ribbons included. If they do, also find out whether there is an additional charge to avoid unexpected costs. Once you’ve established that, you might want to discuss the colour of the ribbons to ensure it works with your wedding colour scheme. 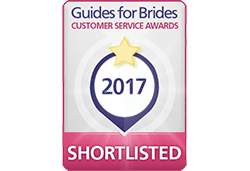 It’s important to ensure that you will receive a personalised itinerary for your wedding day, to fully cater for your needs, and work to make everything run smoothly on the big day. You should also check that your booking will be managed by a single point of contact. Working with one person will enable them to develop a strong understanding of your personal requirements. You don’t want to feel rushed on your wedding day, and so to ensure that you stay relaxed and can enjoy the moment with as much time as you need, find out whether there are any restrictions or time limits. If you do need two or three hours more, see if the company will charge you for extra time incurred. A good wedding chauffeur-driven car company will ensure that their staff have the appropriate experience to provide an excellent demonstration of professionalism, friendliness and skill in being both a driver and a chauffeur. Questions such as “What qualities do your drivers possess, which make them ideal to be a wedding chauffeur?” will provide an opportunity for you to find out more about the companies’ drivers on a more personal level. There are a mix of wedding car suppliers available; some who rely on others to provide the cars they have on offer on their website, and others who own their vehicles outright. Understand where your car is coming from, and gain extra reassurance by finding out the car’s provenance. Do you know the mileage, or if the car is in pristine condition? Asking whether the main dealer for the car brand in question maintains the vehicle provides an extra level of reassurance that your chosen wedding car will be reliable. Is there a Plan B? Find out what happens if the vehicle breaks down or there is an emergency situation, too. Find out more about any available payment methods to help you budget throughout the wedding planning process. Is there a payment plan available, and are payments by bank transfer, cheque, Visa/MasterCard and cash accepted? Do you have mileage restrictions? As well as both driving and waiting time charges, it is also important to enquire about any mileage and distance limits. If you do go over, will there be any additional costs to pay? You may find the need for more than just a wedding car service. A company will need a private hire license to provide chauffeur-driven vehicles for pre and post-wedding services such as honeymoon and airport transfers. To help you to establish whether the company in question works to a high standard of professional service, find out whether company you’re thinking of booking has experience of driving for a range of clients.